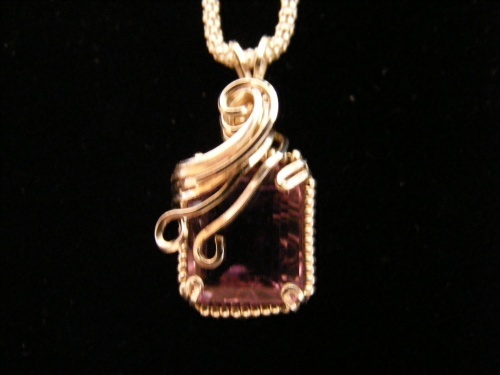 This beautiful Amethyst is completely incased with Sterling Silver swirls. This piece measures 1" from top of bail to bottom of piece. Comes with a 16" popcorn chain.